Biz Controller is an online finance management tool that helps you streamline your VPBiz card administration, establish and control your card spending in an effective, real time and hassle-free way. VPBusiness package is the perfect financial solution to meet the needs of enterprises, this package provide businesses with modern facilities and premium incentives. 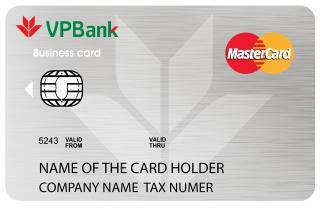 VPBiz Debit Card helps SMEs to perform banking transactions and pay for goods more conveniently. Now, goods payment, cash withdraw and banking transactions have become easier than ever. VPBiz Credit Card, an international credit card allows cardholders to perform transactions within the circulating credit limit as granted pursuant to the agreement with VPBank. In order to increase advantages for VPBank cardholders and meet the increasing demand of customers, VPBank has deployed POS card payment service at the points of sale such as commercial centers, supermarkets, hotels, restaurants, ticket agents. VPBank provides this service to corporate customers with demands for collecting money from remitters via VPBank's wide transaction network.